Missio Nexus’ leadership thoughtfully summarize books, giving you the Leader’s Edge to help inform, stimulate and provoke profitable discussion. The Author Interview is an informal conversation with the author to to give you more insight to the book. 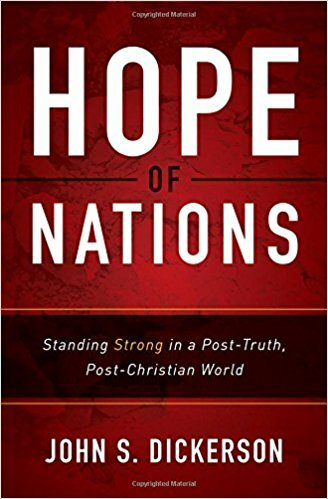 In this book one of the world’s top investigative reporters (and now pastor), John S. Dickerson, addresses our western post-truth, post-Christian society. The book shows how and why the world is changing, where those changes will lead, and what it looks like to live like Christ in today’s society. With fascinating historical and political background, Dickerson helps us understand the larger post-modern society we live in. Among the youngest award-winning journalists and a seminary-trained pastor, Dickerson brings his reporting skills, generational perspective, and biblical insights to this insightful book.